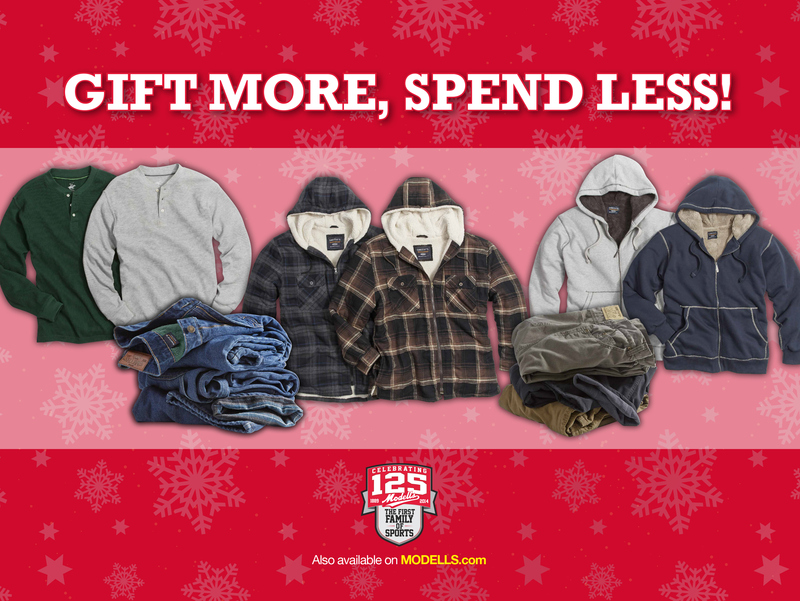 Creation of holiday "Gift More, Spend Less!" 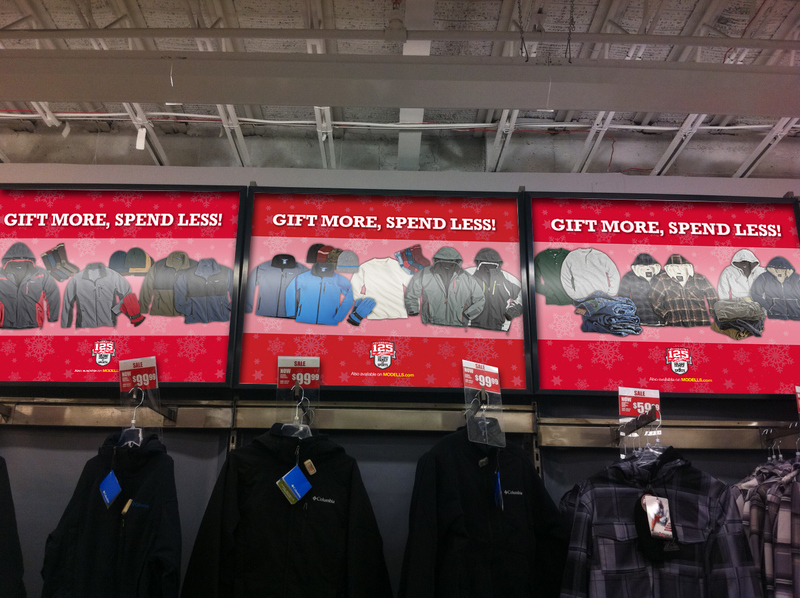 direct mail, POP and advertising campaign. 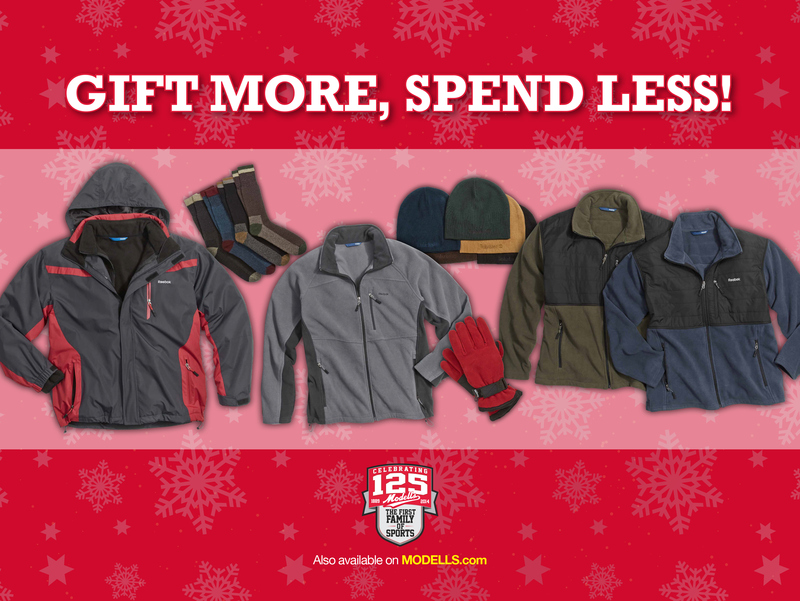 As part of Modell's Holiday 2014 campaign we chose to extend some of the branding and imagery from the fall/winter "Layer Up & Save" in-store POP. 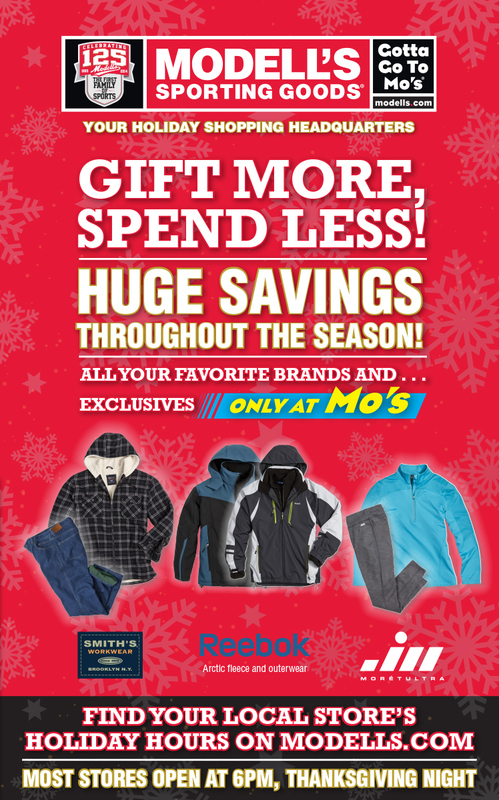 The holiday package featured the Modell's exclusive house brands as "Only at Mo's." 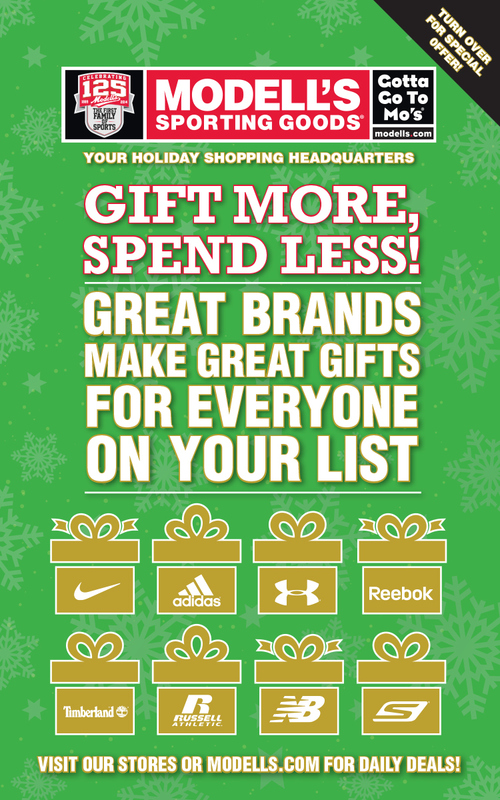 A festive snowflake pattern was combined with a typographic and messaging refresh of "Gift More, Spend Less!" The roll out began with two direct mail pieces. 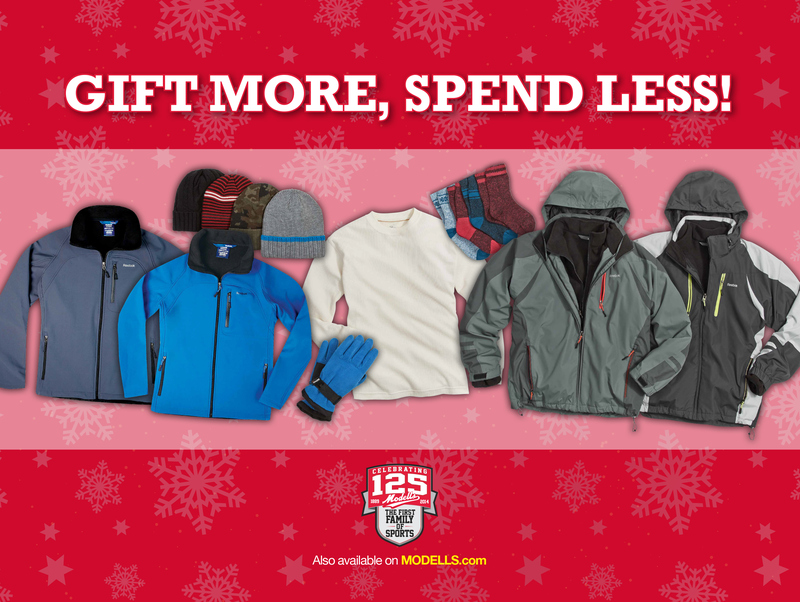 Messaging was both holiday saving and a sneak peek into our Black Friday deals. 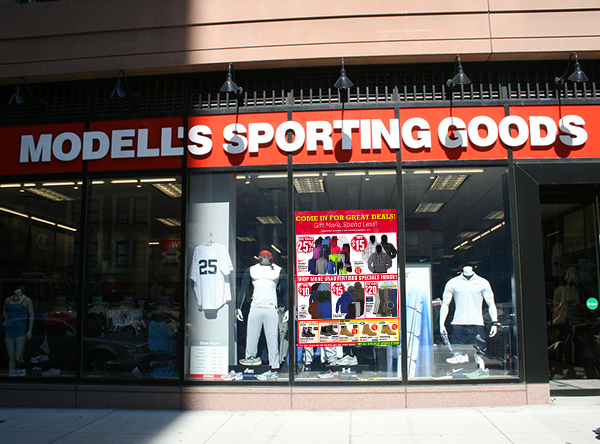 The thematic was then rolled out to our in-store POP. Designer Vinny Lee assisted me in the creation of snap frames, toppers, window banners and preprinted Black Friday and holiday sign kits.